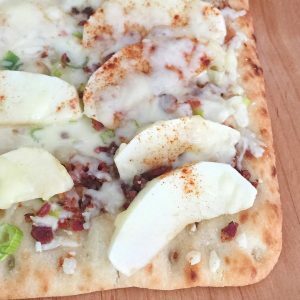 This flavorful apple-topped pizza comes together quickly with a store-bought flatbread pizza crust, Cheddar cheese, crispy bacon, green onions, sweet slices of Ambrosia apples, and maple syrup. Add a fun new twist to family pizza night with a sweet apple topping! I created this recipe after joining six other food writers last weekend for an Ambrosia Apple Tour in Wenatchee, WA sponsored by Columbia Marketing International (CMI). My expenses were paid for, but I was not paid to write this post or develop this recipe. All opinions are my own. I traveled to central Washington state for a tour of Ambrosia apple orchards (and a few vineyards! ), and I got a glimpse into how new apple varieties like Ambrosia are developed and how they’re grown, picked, and shipped to supermarkets across the country. I saw acres of apple trees heavy with fruit, tasted sweet, crisp apples out of hand and in dishes like Warm Curried Ambrosia Apple Soup with Creme Fraiche, and feasted my eyes on the Cascade Mountains which surrounded us during our entire visit. 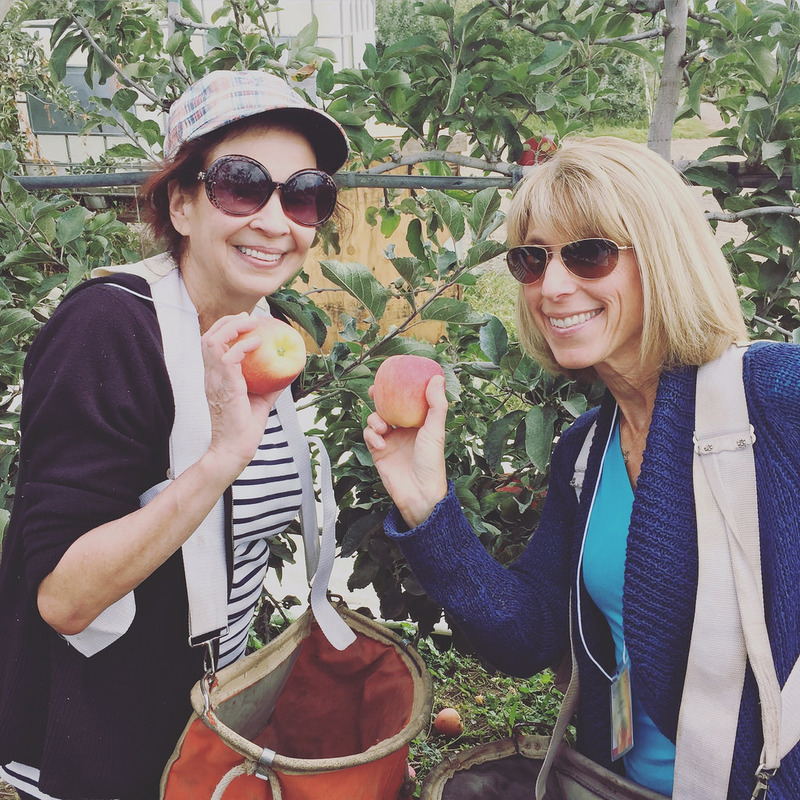 Here I am picking apples with new friend and fellow food writer, Rowann Gilman from The Nibble. On my last night in Wenatchee, I ate at Fire restaurant in the Pybus Public Market. On the menu was a bacon, Gorgonzola and Ambrosia apple pizza, which inspired me to develop a pizza of my own. Apples are a good source of fiber and vitamin C, and when they're placed on top of this pizza, they provide a subtle sweetness and crunch. 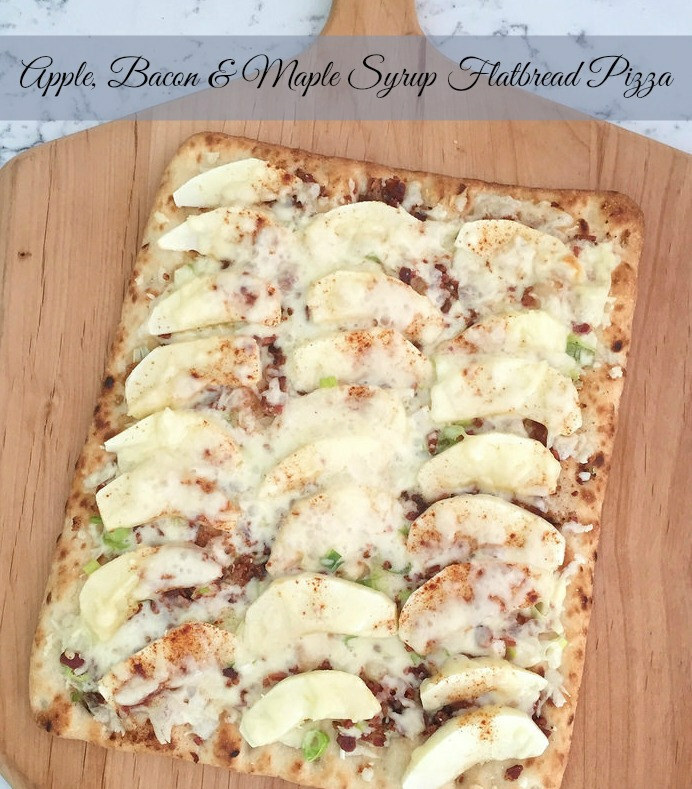 Since kids love apples and pizza, the combo should be a big hit. Place the flatbread pizza crust on a work surface. 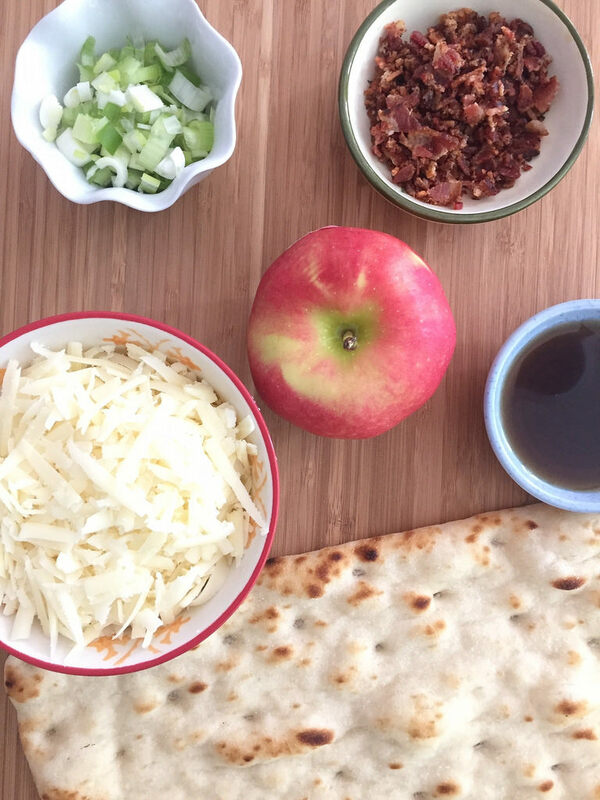 Arrange ¾ cup of the cheese, the bacon, green onions, and apple slices evenly over the top. Drizzle the maple syrup and a generous sprinkle of cinnamon over the apples. Top the apples with the remaining ¾ cup cheese. Place the pizza inside the oven directly on the middle rack, and bake according to package directions, 10 to 12 minutes. Each slice has 25% of your daily calcium needs. I used a flatbread from Stonefire Pizza. Stop by later for my next post on the Ambrosia apple orchards of Washington. Liz, what a wonderful trip recap! Your podcast was perfect. We loved showing you around our part of the world, and hope you’ll be back before too long. 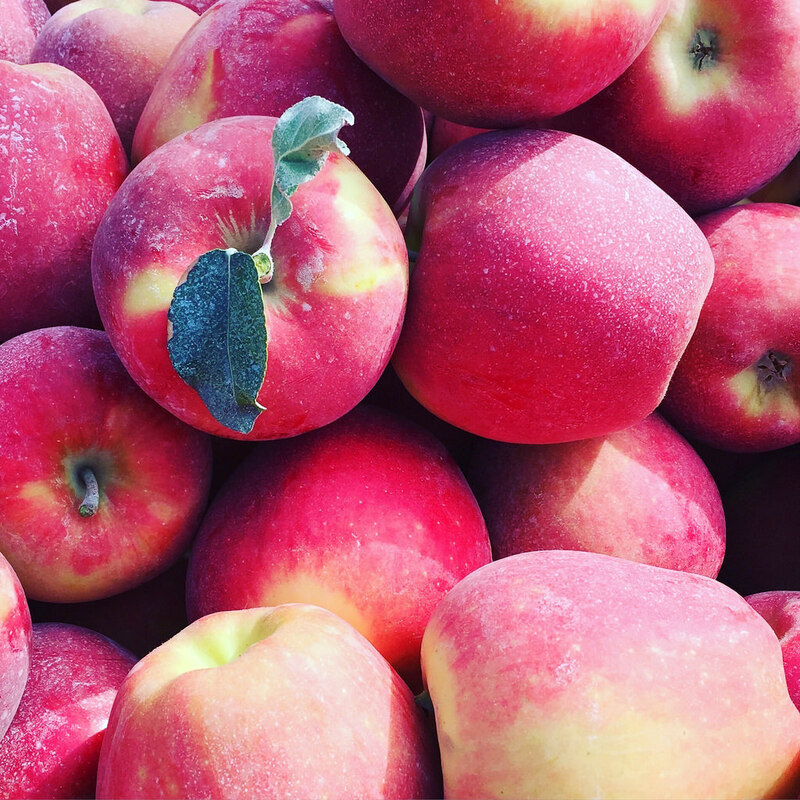 We have many more delicious managed apple varieties we’d love you to explore. It was a magical trip. Thanks for making it happen!! now this is my kind of pizza, especially since it includes bacon! yum! Hope you have an opportunity to make it. It’s super delish! What a fun trip! 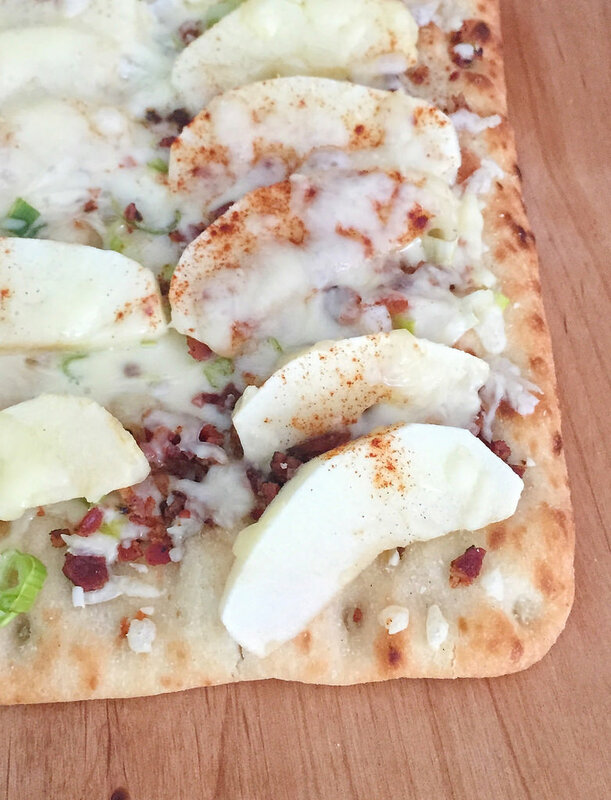 Love the idea of adding apples to pizza – taking apple, cheese, and crackers to the next level! I recently had apples on a panini and loved enjoying it in a savory dish vs. pie! I’ll definitely be pinning this for our weekly pizza menu rotation! Hope you try this. It’s super yummy!! Happy to hear you like the recipe!